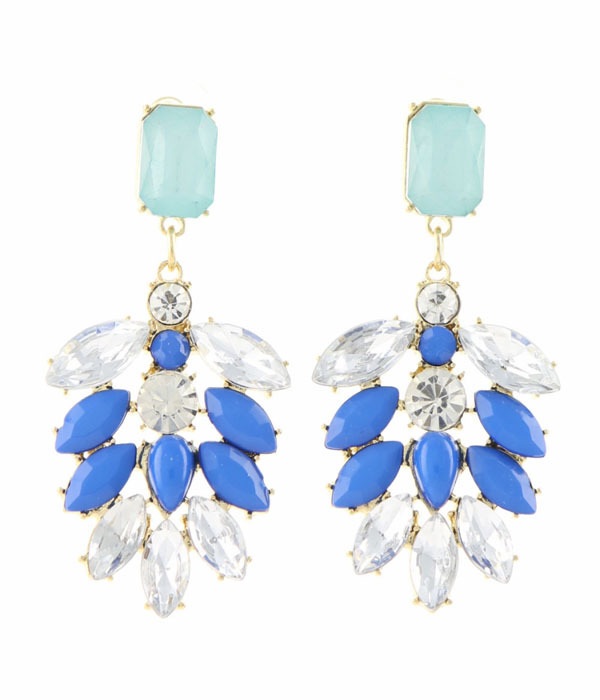 The Erin’s glimmer like the Aegean, combining cabochon and rhinestone beads in powder blue, azure, and clear sparkling crystal to create a drop earring made for sipping on cocktail's. Featuring gold metal casting on a post closure. Wear day or night.